Download it, and place it in the .EasyAVR/boards folder inside your home directory. Note: You must run Easy AVR at least one time to create the .EasyAVR directory! Browse to kbfirmware.com click Upload, and select the file you downloaded. Once the file loads, you can modify it to fit your layout, and generate the compiled firmware on the webpage, or download the source files on your own to edit and compile! The Signum 3.0 PCB makes it easy to DIY an ergonomic mechanical keyboard customized to your needs and hand size! 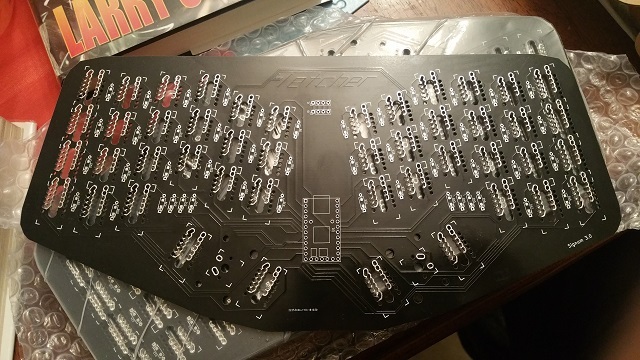 Add diodes, your choice of keycaps and switches (Cherry and Alps compatible, PCB mount/5 pin works best! ), your choice of micro controller, and you're ready to solder! 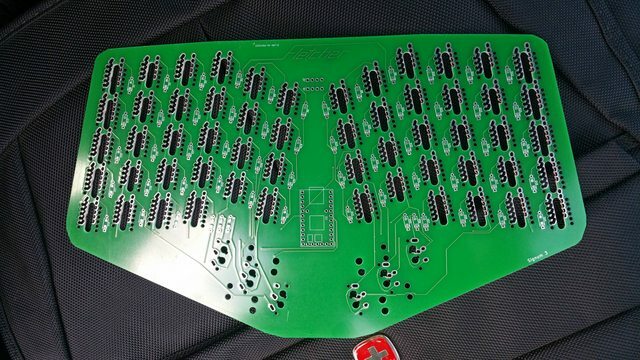 Note: In order to fit 60 keys on 16 pins the PCB uses a non-standard matrix! The center two columns act as a bottom (6th) row! Check the KBfirmware wiring diagram for a visual! The Signum 3.1 PCB makes it easy to DIY an ergonomic mechanical keyboard customized to your needs and hand size! Also it has a number row! Add diodes, your choice of keycaps and switches (Cherry and Alps compatible, PCB mount/5 pin works best! )), your choice of micro controller, and you're ready to solder!